Vertebroplasty and Kyphoplasty are two very similar, minimally invasive procedures for repairing fractured vertebrae by means of medical grade bone cement (polymethymethacrylate), a type of adhesive filler used to facilitate healing of bone fractures. What conditions are treatable with Vertebroplasty and Kyphoplasty? Vertebroplasty and Kyphoplasty are both procedures for repairing fractured vertebrae caused by injury or more often, osteoporosis (An evidence-based analysis of vertebroplasty and kyphoplasty 2013)..
What can a patient expect when they receive a Vertebroplasty or Kyphoplasty? 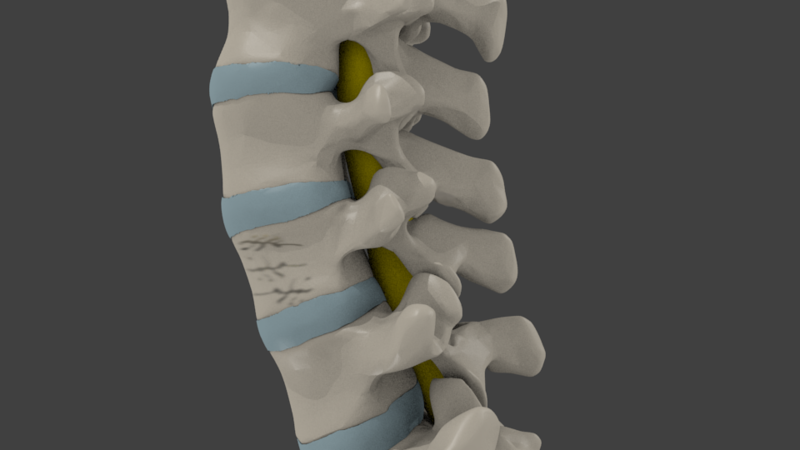 If a patient receives a Vertebroplasty or Kyphoplasty to repair a fractured vertebra they can expect to have nearly immediate results of a successful repair as the procedures are very effective and the cement used is fast drying. Often with fractured vertebra caused by osteoporosis the patient does not experience pain. Often times they may not even be aware they have a fracture vertebra due to the slow degradation process of osteoporosis. If left untreated often the fractured vertebra will heal without treatment, however this is not always the case. 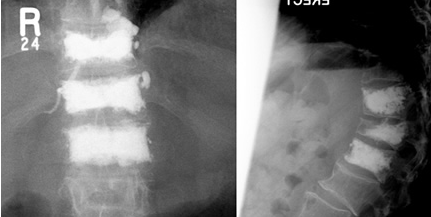 Before the Vertebroplasty and Kyphoplasty this was standard practice, to allow the fractures to heal themselves, but this could take several months of bedrest (Current concepts of percutaneous balloon kyphoplasty for the treatment of osteoporotic vertebral compression fractures: evidence-based review 2013). Vertebral fractures, even if not painful, may cause problems later, often causing the nearby vertebrae to also fracture due to the added stresses on them. This can eventually lead to conditions that are painful if bone fragments contact the disc or nerves or the vertebrae becomes so deteriorated that it collapses and contacts the associated nerves. If left unattended vertebral fractures can become a very serious issue so addressing these fractures early is very important. Although cement is only used in the most serious cases, if used it can restore the vertebral height and provide pain relief in as little as ten minutes after the procedure has been completed. How are the Vertebroplasty and Kyphoplasty performed? The two procedures are very similar; however a Vertebroplasty is a slightly more simple procedure. In the Vertebroplasty, the patient is sedated, but awake, and the cement is injected under pressure into the fractured vertebra. The cement hardens in about ten minutes and stability is restored to the vertebra. The Kyphoplasty is slightly more involved; in the Kyphoplasty procedure, the patient is put under general anesthesia, although it can be done with just a local. A small incision, approximately one inch is made and a balloon catheter is inserted into the fractured vertebra (Balloon kyphoplasty: an evidence-based analysis 2004). The balloon is expanded restoring the vertebra to its normal position and then withdrawn. After the vertebra has been restored to its normal position the bone cement is injected under low pressure into the vertebra. In ten minutes it hardens and stability is restored. This procedure is used when the vertebra is badly damaged or collapsed. How long do the Vertebroplasty or Kyphoplasty procedures last? The repair made by Vertebroplasty and Kyphoplasty are permanent, although with osteoporosis more vertebra can fracture so along with the repair of the fractured vertebra steps must be taken to try to avoid further fractures. Often calcium supplements are all that are required. What risk or side effects are associated with Vertebroplasty or Kyphoplasty? Risks are potentially significant, although typically rare. A patient may have discomfort, bruising, and bleeding at the incision site and rarely infection can occur. Leakage of the cement before fully hardening may occur, if this happens it could potentially leak into the spinal canal and cause compression of a nerve resulting in increased pain levels. The most serious risk is also the rarest; this is most possible when the cement is injected under high pressure. If the cement leaks it is possible for it to be absorbed into the surrounding veins and embolizing the lungs. Embolization of the lungs is potentially fatal. How successful are Vertebroplasty or Kyphoplasty for the relief of pain? Patients suffering pain from a fractured vertebra have a 90% chance of experiencing relief from their pain. Bottom line on Vertebroplasty or Kyphoplasty? The procedures have been used with great success to repair fractured vertebra and relieve patients’ pain. 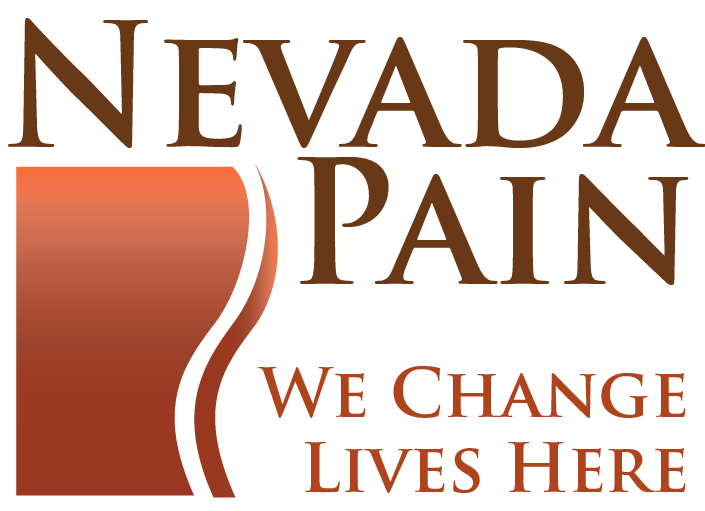 Nevada Pain has the top pain management clinics in the greater Las Vegas and Henderson areas. 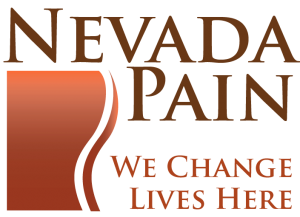 The Las Vegas pain management doctors are Board Certified and Award Winning, offering both medical and interventional pain management. 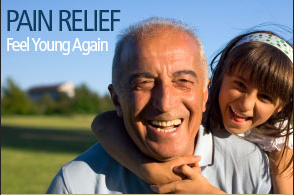 The pain relief success rates are very high at the practice, with over 50 insurances being accepted.